The worldwide famous city of Marbella with landmarks such as the glamorous Puerto Banus, also offers a historical city centre in the old town area, also known as the Casco Antiguo. The Arab walls, museums, plazas, fountains, chapels and popular churches are evidence of a rich and attractive cultural offer completed with restaurants, shops and a distinctly typical Andalusian atmosphere. 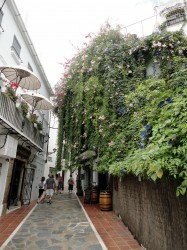 Marbella is known for being a modern city and related to tourism so visitors will surely get surprised with the old town of Marbella, as it is rare that a city has well preserved traces of the past. The layout of this part of the city retains its own urban irregularity from the Arab period, although some of its narrow streets were designed immediately after the Christian conquest. The ancient heritage includes the walls of the Alcazaba or the Castle, into which the city focused. Plaza de los Naranjos (Naranjos Square) is the result of urban reorganization carried out by the conquerors and in this beautiful square the Town Hall is located. But the appeal of the Plaza de los Naranjos lies not only in the noble buildings, but because it continue to be, in a sense, the heart of the old city. 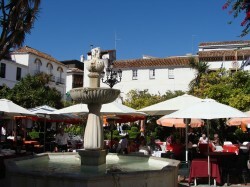 Thus, numerous establishments of all kinds will give this corner of Marbella an unique environment and its spacious and well installed terraces are always full of tourists who usually choose this place to take a short break after their tour of the historical city center. The former Bazán Hospital now houses the Museum of Spanish Engraving, considered the best of its kind in Spain, not far from this monument we can find the Church of Santa Maria de la Encarnación that is a large temple whose construction dates stands to the seventeenth century. 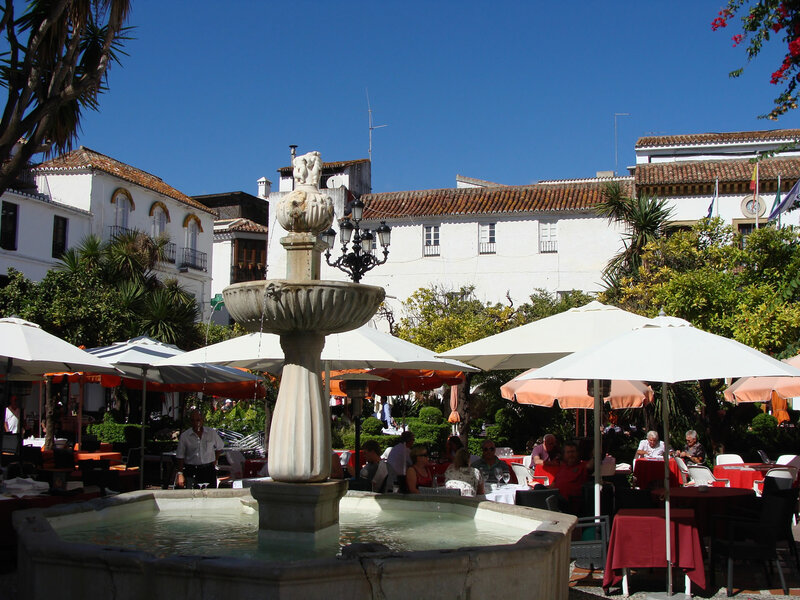 But regardless of the artistic value of these historic buildings, the Old Town of Marbella is primarily a place of tranquility and charm for alternating the nobility of its buildings with fancy establishments and lively terraces, all in a combination of tradition and cosmopolitanism.